Here we see the imperfection of the old sacrifices: they were not able to make people perfect according to the conscience; they served only as a reminder of sinSin is anything that goes against God’s will and His laws. To commit sin is to transgress or disobey these laws. The lust to sin dwells in human nature. In other words, it is contaminated and motivated by the sinful tendencies that dwell in all people as a result of the fall into sin and disobedience in the garden of Eden. This... More. (Hebrews 10:3) However, with Christ came the time of reformation, of putting everything in order. Now we can become perfect according to the conscience. Our conscience is our understanding of good and evil. Therefore, to be perfect means that a person has put everything in his life in order according to the understanding he has. Then he no longer has these continual reminders of sins. Jesus calls us disciples (or apprentices). He says that if anyone would be His discipleA disciple is another word for a follower of Christ, one who is learning to be like his Master. As a disciple you follow Jesus Christ, who is the Master and by living like Him you become more like Him. (Matthew 16:24; 1 Peter 2:21-22)... More, he must forsake everything, deny himself, take up his cross daily, and follow Him. (Luke 9:23) A perfect apprentice is someone who gives up all his own opinions and plans and is obedient to his master. He must say, as Jesus did when He came into the world, “Behold, I have come … to do Your will, O God.” (Hebrews 10:7) Not for any other reason! Then he is a perfect disciple, although he is not yet perfected like the Master. When Paul says, “Not that I have already attained, or am already perfected; but I press on …” (Philippians 3:12), he means that he has not yet been perfected like his Master, but that he is pursuing it. Be perfect—and press on to perfection! Jesus’ last words were that we should make disciples of all nations. It is comparatively easy to get people to pray to Jesus for the forgiveness of their sins, but to make disciples of them is hard work. To get them to forsake everything and teach them to observe all that He has commanded them is an enormous job. When it concerns such a salvation, most people do not really believe in the grace that is in Christ, despite the full assurance of Jesus’ words: “All authority has been given to Me in heaven and on earth.” Matthew 28:18. Yet, praise God, there are some who have seen His glory—the glory of the only begotten of the Father, full of grace and truth. And of His fullness we have all received: grace for grace. 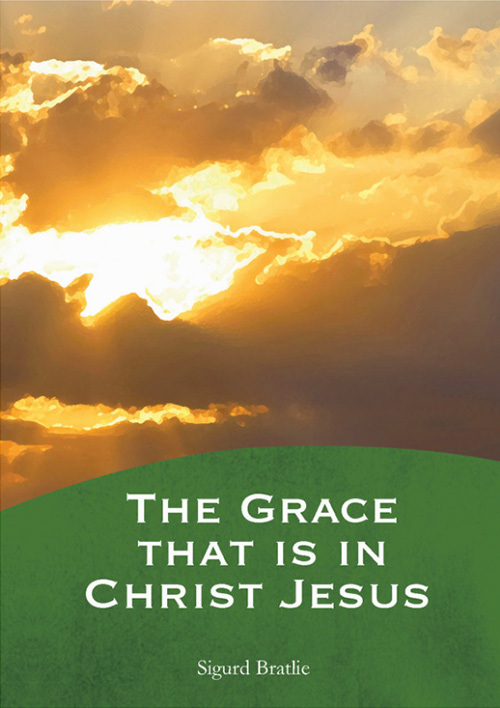 This article has been translated from Norwegian and has been adapted from the chapter titled “Perfect,” in the booklet “The Grace that is in Christ Jesus,” first published in March 1941. What is the result of Christianity? Is your faith producing anything?